Over the last couple of weeks, I put out a few tweets about mole crickets, after seeing a few in the backyard recently. The WA Museum has a great fact sheet up on their web site at http://museum.wa.gov.au/sites/default/files/Mole%20crickets.pdf which, if you are interested, is worth a read. But the most striking thing I saw was that there isn’t a lot known about these insects. After those tweets, there was a little spike about mole crickets, so I threw in the hasthag #molecricket just to keep track of the conversation a little better. This in turn got me thinking about what Gaia Resources and the Twitter community could do to learn a bit more about this cryptic species, probably because I got to see Tim Highfield’s talk http://timhighfield.net/?p=499 about big data and mapping twitter at the recent Georabble http://georabble.org/. So, those thoughts led me back to some work we’ve been doing in-house on what we’ve been calling the Social Watch Engine (SWE), which works with our Biological Data Recording System (BDRS) software. In a nutshell, SWE looks for social media posts – like tweets – with a particular set of characteristics and then imports them into the BDRS as records, where we can then review, map, curate and publish them. The first mole cricket sighting in the survey (taken by me – @piers_higgs). What we now need is help. If you can, include a picture. What will we do with all this? Note that the way that the BDRS permissions work mean that you can’t see the details of these records without having a login. As this particular BDRS instance is our own – with various skunkworks projects like this in it – we’re currently not accepting new users into this system. We’ll review that if this takes off. Assuming that we get some sightings coming in, what I’ll do is to curate this data to remove any non-obvious records (e.g. tweets that obviously aren’t sightings) and I’ll put this data together on a monthly basis and let people who have contributed sightings know what we have seen so far. What I’ll also do is to use my status as a Research Associate at the Western Australian Museum to not only make the data available to the Western Australian Museum, but we’ll also look at producing a paper from this project to help our understanding of a little known species. I don’t think we’ll make mole crickets a household pet or anything but I think we use social media to make a contribution to science… so, tweet away, and we’ll perhaps learn something along the way. 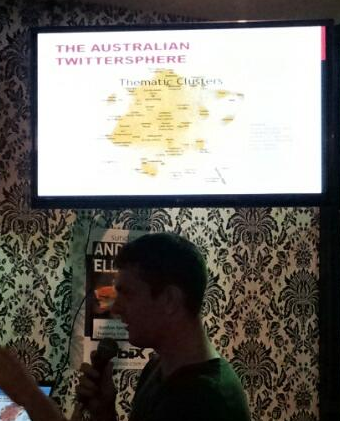 Maybe you’ll see me talk about this at a Georabble in the near future. Send me a tweet or leave a comment below. 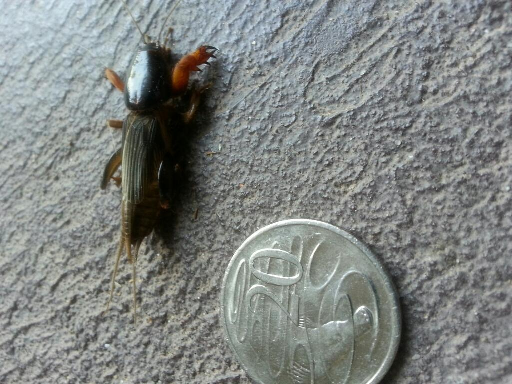 Late edit: I recorded a mole cricket last night (and tweeted that as a sighting) and here’s an MP3 file of the call.